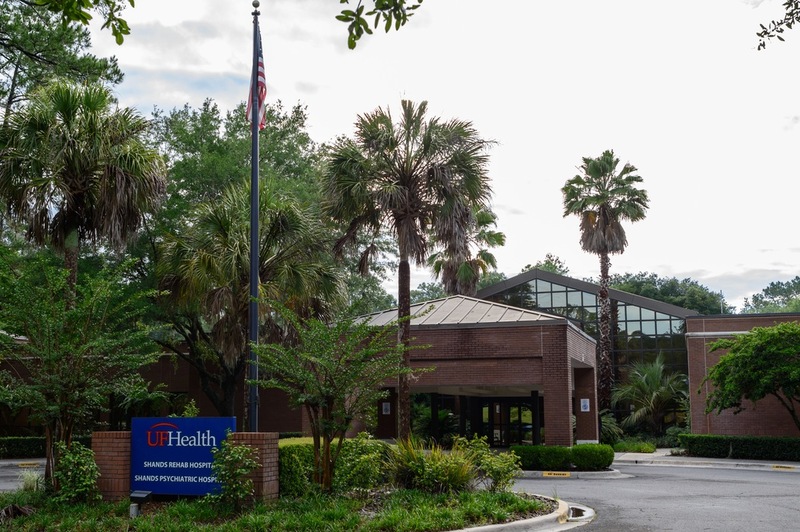 UF Health Shands Psychiatric Hospital is co-located with UF Health Shands Rehab Hospital. Both hospitals are located at 4101 N.W. 89th Boulevard in Gainesville, Florida. When coming to our campus, note that UF Health Shands Psychiatric Hospital occupies the south (right) portion of the building. The information desk inside the front doors serves both hospitals. Staff there can offer assistance and direction.